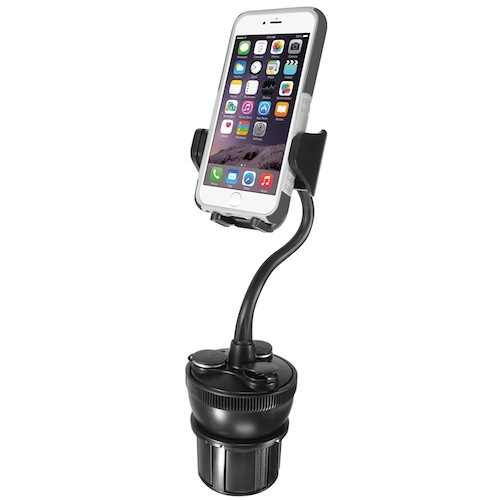 The Macally MCUPPOWER is an adjustable car cup holder mount for iPhone/smartphone (with or without a protective case) between 1.77”/44 mm and 4.1”/105 mm wide. 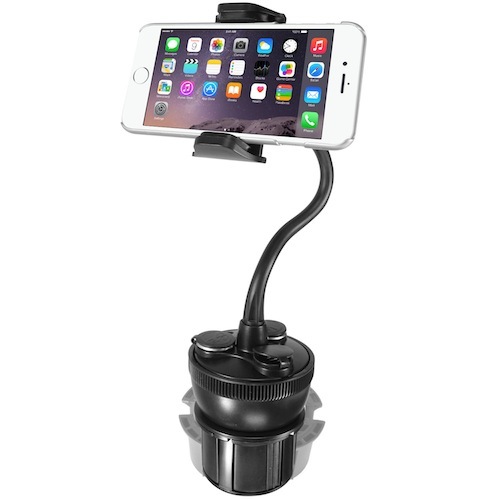 The Macally MCUPPOWER has an adjustable grip and a one-touch release button to easily remove the iPhone/smartphone from the holder. 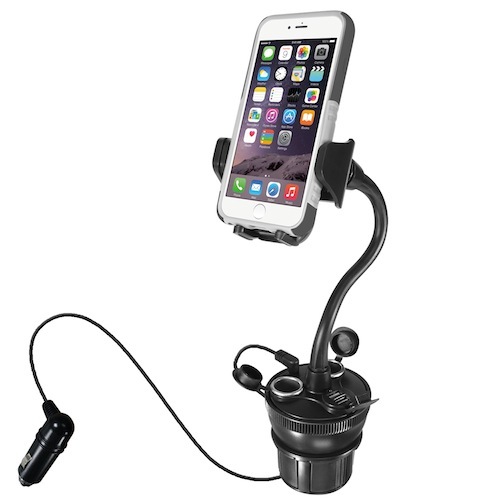 The soft cushioning on the holder provides extra grip and protects your iPhone/smartphone from scratching. 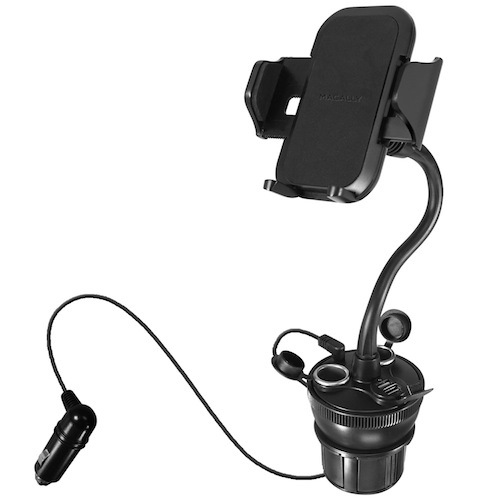 The Macally MCUPPOWER has an 8”/20 cm super-long flexible neck and a 360-degree rotatable holder for the best viewing angle. 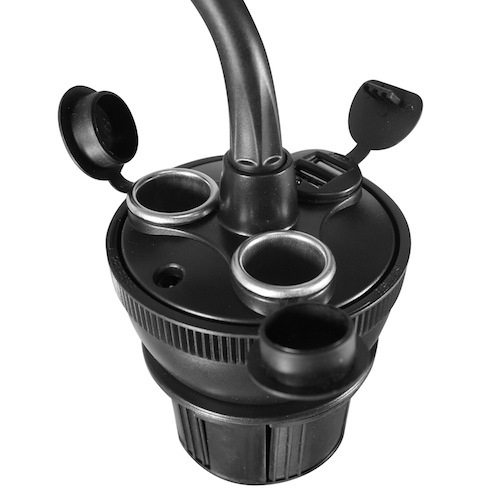 The adjustable base of the Macally MCUPPOWER fits perfectly in the cup holder of most cars. 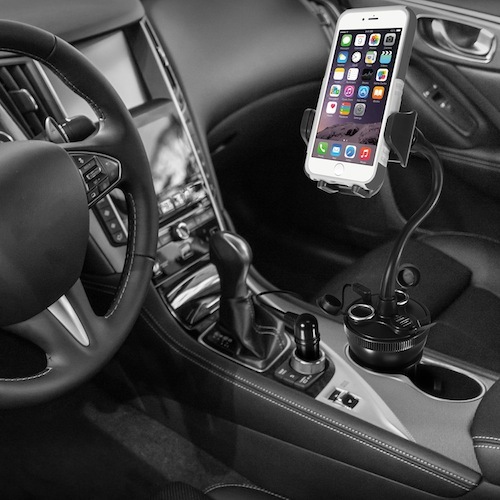 As the name suggests, the MCUPPOWER has two USB ports (2 x 5V/2.1A) to charge two mobile devices simultaneously, as well as two cigarette lighter sockets to charge other devices. 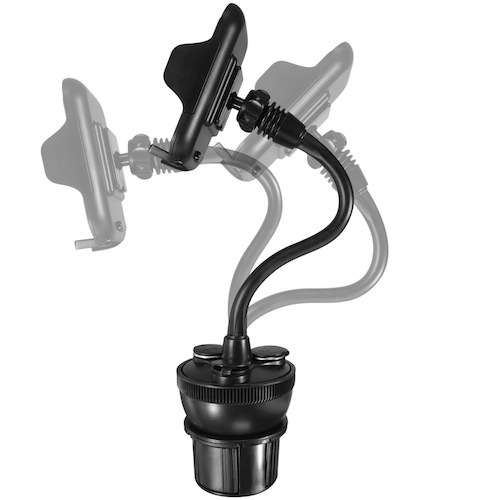 The Macally MCUPPOWER is compatible with a 12-24V car power input.